Summers are in full swing this year in India , thanks to the pollution and urbanisation. Bangalore has already beat Chennai in terms of temperature. I still remember how cool bangalore felt when I made it my home 5 years back (enough of nostalgia). One way of beating the heat is refreshing cool drinks (non-alcoholic). They not only help the body cool down but also improve the health of the skin due to their nutritional values. 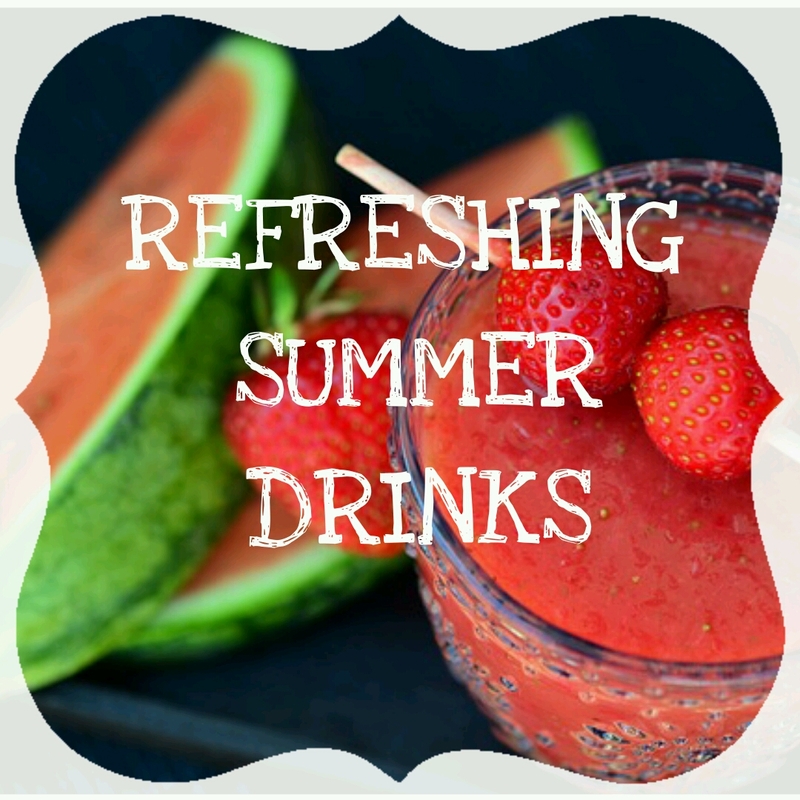 Let's see some refreshing, easy to make at home drinks with minimum ingredients. For this post I have collaborated with the buttercups Shwetali from Not So Hard To be Pretty and Dipti from Gorgeously Flawed. rich in vitamin c and iron and jaggery being an ideal glucose source, the panna helps in giving energy lost due to dehydration and sweating. Watermelon is 98% water and some percentage sucrose. When eaten chilled it gives a heavenly feeling to the senses. Watermelon juice when blended with few mint leaves makes an excellent change to the drink. Watermelon when added with a spoonful of gulkand gives the necessary sweetness and adds a subtle rose flavour to it. Watermelon juice alongwith a little lemon juice gives a lemony flavour to the drink. Pineapple, apple and strawberries when blended together make a tangy drink. I usually refrain from adding sugar, salt, chaat masala to the above drinks, but you can add them according to your taste. Please avoid drinking colas and readymade juices because you are harming the body instead of helping it. So hope you all enjoy the drinks and beat the summer heat. Also don't forget to take extra care of your skin. And don't forget to checkout Shwetali's and Dipti's posts. Tell me your favourite drinks (non-Al....)!! !